Happy new year, everyone! I wish all of you a joyous year ahead full of good health, safe travels and success in your endeavors! 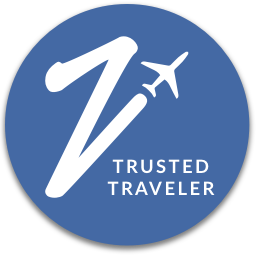 2017 was a busy year for the In Transit Travel + Food Blog, and I am looking forward to another eventful year ahead! I relaunched and rebranded the blog in May to provide more focus on offering recipes, tips and stories from my journeys in the kitchen, around Atlanta, and around the world. Our travels took us to Nashville, Miami, New York, Grand Teton and Yellowstone National Parks, Salt Lake City, and Alaska, but there were also blog posts about Hong Kong, Coimbatore, Mexico City and Cancun. I kicked-off a series more specifically dedicated to the Atlanta area — restaurant guides and outdoor trails. 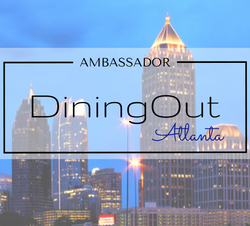 Since In Transit became a member of the Dining Out Atlanta Ambassadors, I’ve started spotlighting vegetarian fare at Atlanta restaurants, and that journey will continue through 2018. Now, as I look ahead to 2018, you can expect to read about the Philippines, Paris, Madrid, Asheville, Gatlinburg, and Alaska, and more about scenic trails and new restaurants in the Atlanta area. You can join me for these journeys by receiving content straight to your inbox when you sign up directly for the In Transit Travel + Food Blog here. As the blog grows and I partner with more brands and agencies, I will also be offering giveaways and promos that you can find out about through email as well. Above all, I’d love to hear your feedback of content that you’d like to see, and what resonates with you. Please, leave comments below or on a post. If you enjoy what you read, please share with a friend. I look forward to a fun-filled year ahead, and can’t wait to share the stories and tips from our journeys with you! Happy New Year! As we think about where we want to vacation this year, I’ve got my eye set on the following places, thanks to the help of some other bloggers who have inspired me with their stories, guides, and photos. Stay tuned to see where our travels take us, and be sure to check out these blogs as well!